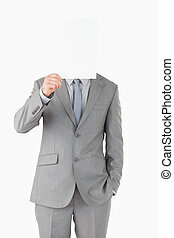 Businessman hiding face behind sign i quit. 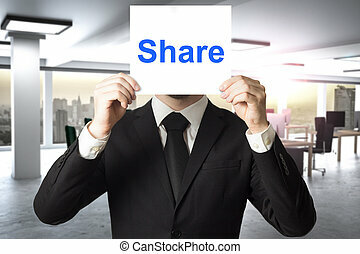 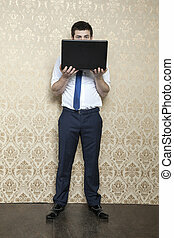 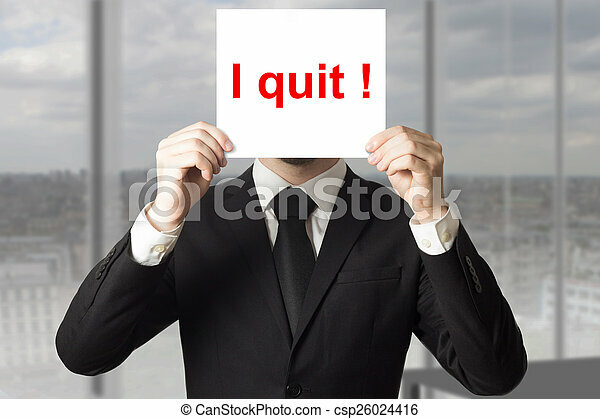 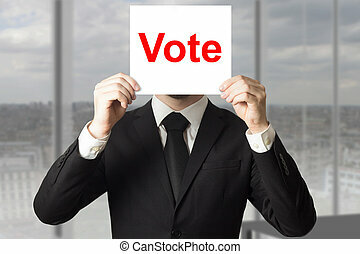 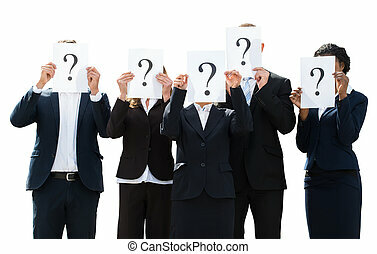 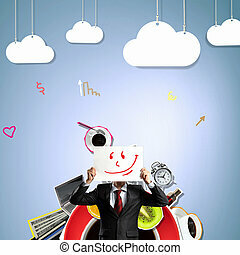 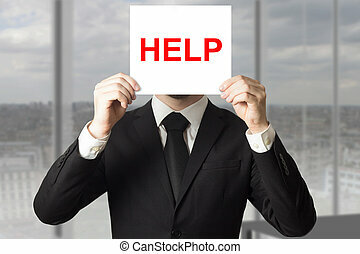 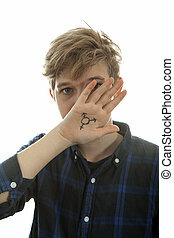 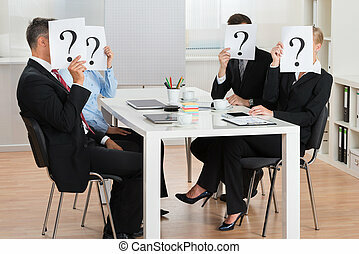 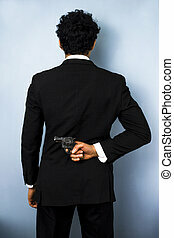 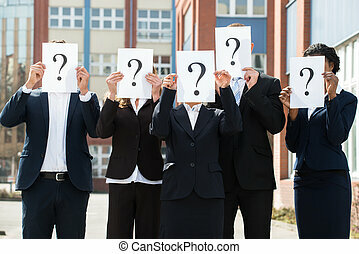 Businessman in office hiding face behind sign i quit. 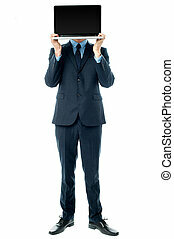 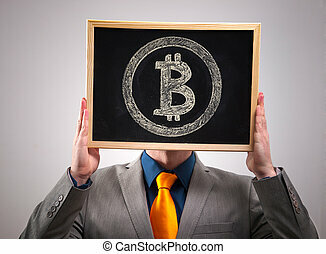 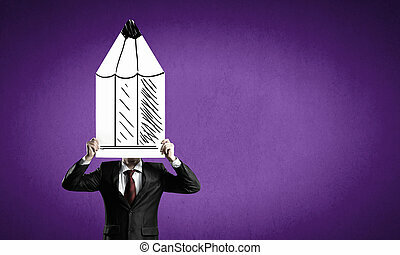 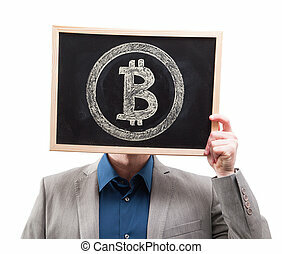 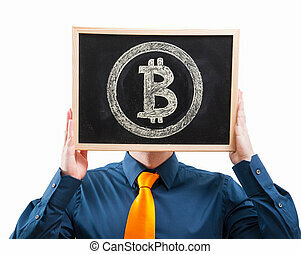 Businessman holding a blackboard with bitcoin symbol isolated on white background.